I'm two weeks into a six month spending fast which has made compiling this list a very real test of my fortitude. Not buying things (and even the prospect of not buying things, since I started thinking about this in November and December) has made me think a lot harder about what I really want to make space for in my home and in my life. I'm at the point where I want a smaller wardrobe of nicer, well-fitted clothing that will last through years of regular wear. I'm done having babies so I don't expect my size and shape to change much like it did over the past decade of childbearing. I have a little more disposable income so I can shell out for something a little higher quality than your average Forever 21 top. I'm solidly comfortable in my sense of style and have worn essentially the same colors and shapes for several years now. I want less but better. 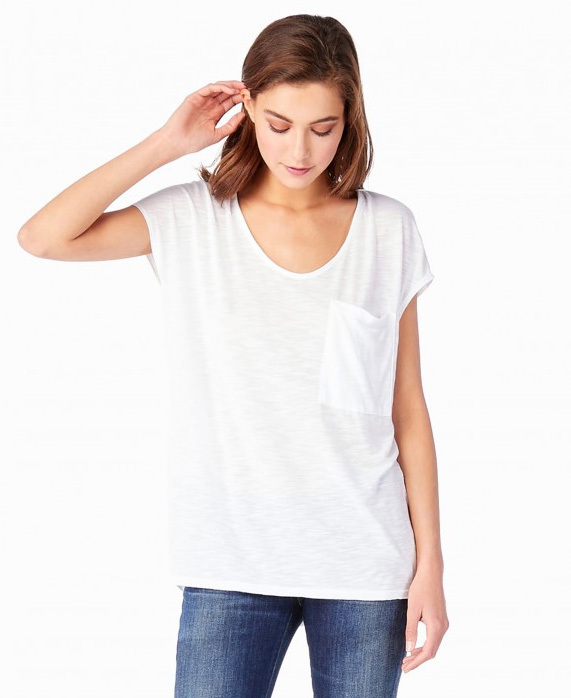 I went hard on Everlane when they first opened and then kind of stopped wearing tees for a while and I guess forgot about them? I give my brother-in-law a gift card to Everlane for Christmas and birthdays but never browsed much for myself. HOWEVER. Everlane is a rockstar combination of quality and good labor practices and they've waaay expanded their offerings. Their small collection of t-shirts has grown to include jeans, dresses, cashmere, shoes, bags and more. 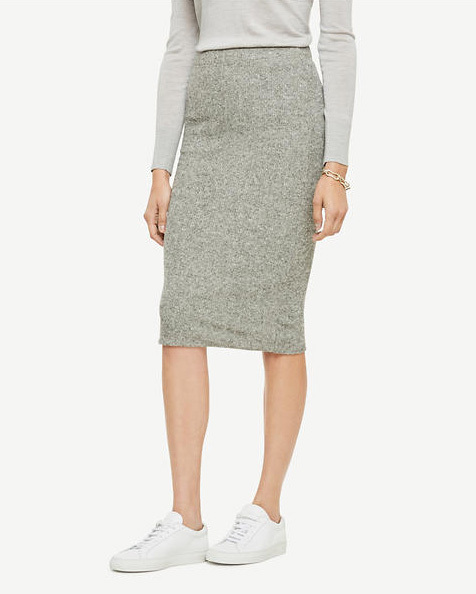 They carry solid, classic basics that you can get years of wear out of. There's a LOT of good stuff and I'd really like to try some of their newer options. Many years ago Reachel Bagley recommended AG Jeans on her blog and I made a mental note. When they showed up on Hautelook (a flash deal site associated with Nordstrom) a few months later I snagged a pair for $74. It was the most I'd ever spent on a pair of jeans and I felt slightly sick about it (I couldn't fathom paying the full $130 price tag) but they have been the best pair of jeans I've ever owned. They were my only pair of jeans for a while and I wore them almost daily. I bought them in April of 2012 and they finally developed a hole in one knee late last year. I added a few more holes to make it look intentional and I'm still wearing them. They haven't stretched out or lost their perfect fit- they still make my backside look fantastic and they look amazing with everything. Quality denim matters. Several people mentioned how devoted they are to Lucky brand jeans. I've never tried them but there are stories in my DMs of jeans worn for a decade that still look basically new. Definitely worth giving a try. When we were in Tahoe last year we poked our heads into a Patagonia store, choked at the price tags and quickly walked back out. Then Aaron listened to an episode of the podcast "How I Built This" featuring Patagonia's founder and he was so impressed with the company's ethos that we started looking at Patagonia with fresh eyes. They strive to make higher quality products and then they stand by them- they even resell secondhand Patagonia stuff because they want to be environmentally friendly. Their style is pretty different from mine (I only wish I was that outdoorsy) but I'm keeping my eye on their site anyway- at some point I'd really like to pick up one of their fleeces. There was a woman at church a couple years ago who always wore THE best dresses. One week I finally stopped her in the hall and said, "Ok, all of your dresses are fantastic...where do you shop??" She told me she's addicted to the Boden sale section. I'd heard of Boden but had zero experience with them. Their stuff leans toward the professional but I think there's a little something for everyone. Their dresses are particularly good. I did some research for this post and eShakti showed up several times as a higher quality brand with good labor practices. I love eShakti- I've worked with them in the past as a blogger and I've also spent my own money on their dresses. Their stuff really is just so so good. I have like 10 of their dresses in my closet and they all look brand new despite a lot of wear. I think their jersey and pima cotton are particularly good, but I've never had a dud from them. Plus: almost everything they make has pockets and you can customize the sleeves, neckline, length, etc. You do have to do some digging to find the good pieces but there's gold in there. This was an IG recommendation and one that I'm not personally familiar with but it looks like they carry solid basics. No crazy prints or cuts here, just well-cut pieces that won't go out of style for a good long while. I've actually never shopped at Ann Taylor and know very little about it but a handful of people recommended it. In the past they've carried more professional pieces and I haven't worked in an environment that required anything fancy from me wardrobe-wise in....ever. But looking at their website it appears they've branched out a bit and there's more variety in their offerings. I think J. Crew technically counts as fast fashion, which makes me hesitant to include them but honestly their quality is generally pretty great, even if they're not the most ethical or sustainable brand. J. Crew is really accessible and has product reviews on their site, which I always appreciate. If I'm going to spend $100+ on something then I'd really like to know if other people thought it was worth the money! Another brand I have no personal experience with but the fabrics sound divine. I like quite a lot of their tops and I'm dying over most of their jewelry. A little boutique that carries pieces from 60+ independent designers and focuses on eco-friendly, cruelty free, and sweatshop free styles. Like J. Crew, the Old Navy/Gap/Banana Republic empire is definitely more in the fast fashion category. But BR is generally pretty decent quality- their button downs and trenches are particularly good. Quite a few people recommended Gap and every single one did so with a caveat. The Gap is hit or miss- some stuff is really great and some is more along the lines of Old Navy quality. I have a jacket from Gap that I paid full price(!) for almost eight years ago. I wear it constantly and it's still in fantastic shape. Paris, 2013. It was a couple years old at the time and I still wear it regularly now. However, in the time I've owned it I've burned through a LOT of other crummy things from Gap. So just be really discerning when you pick up anything from Gap- go through the quality checklist and be picky. This is obviously by no means a comprehensive list but it's a start if you, like me, want to start accumulating "less but better" clothing. If you have a favorite brand I missed, please share in the comments or through email! 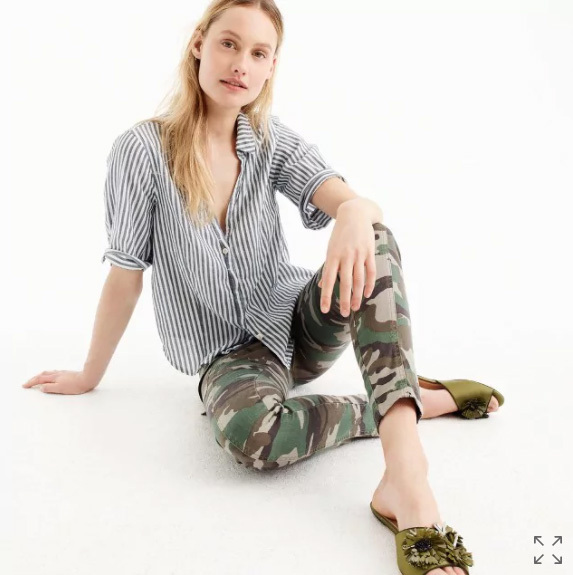 I bought a pair of Gap jeans after I was fed up with my Old Navy duds, and they are pretty much exactly the same jeans- I cannot believe they retail for nearly $70!! But I do agree that Gap does have some good things. Thanks for compiling these links!